As JTATE editors, we work closely with the editorial review board and the international advisory board to provide authors with a high quality publication process. This includes ensuring a critical but supportive peer-review as well working to publish articles in a timely and efficient manner. In the last year, we implemented three steps to also increase communication between JTATE and its authors. Ferdig, R.E. & Chenowith, N.H. (2017). Editorial: Submissions and publication data from the 2016 volume of the Journal of Technology and Teacher Education. 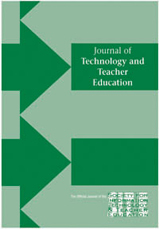 Journal of Technology and Teacher Education, 25 (2), 125-129. Waynesville, NC USA: Society for Information Technology & Teacher Education. Retrieved April 25, 2019 from https://www.learntechlib.org/primary/p/178196/.